Need Roofing work? 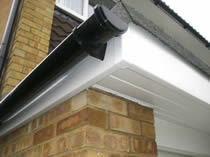 We undertake Tiling, Flat Roofing, UPVC Fascias, Soffits and Guttering. UPVC fascia and guttering installation and repair Worthing, Littlehampton, Chichester, Bognor Regis, Lancing, Shoreham and throughout West Sussex. We are a dedicated team of skilled tradesmen that offer UPV fascia and guttering installation, repairs and replacement – Call Worthing Handyman today on 07831 124226 or use our form below to recieve a quote for your guttering and fascias.